Spirulina Pacifica is cultivated using a meticulous culture process using deep sea ocean water and blended with fresh volcanic rock water as the growth medium, thereby being free from BMAA toxins. 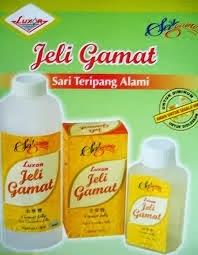 It's Generally Recognized As Safe (GRAS) and usable in all beverages, food and taken as supplements. 2) How refined is it? 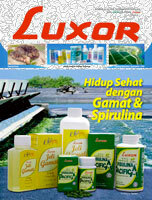 Spirulina Pacifica has gone through 6000 generations or evolutions of Spirulina platensis. It's the only Spirulina in the world that is put through a patented Ocean-Chill Drying process and Cold Press Tableting technology, which Minimizes The Nurtients Loss during processing. 3) What are its contents and overall percentage of each nutritional ingredient? Spirulina Pacifica is a most nutritious, concentrated whole food offering more generous doses of nutrients, carbohydrates, fats, fibre and polysaccharides as well as protein, minerals, vitamins, enzymes, beta carotene, chlorophyll and xanthophyll with anti-cancer properties, and phycocyanin to inhibit cancer cell growth. It is the only Spirulina with a good source of the important Vitamin K2 for healthy blood and bone density. Recently, Spirulina Pacifica is accorded "The Gold Standard" for Spirulina for surpassing and fulfilling the 15 stringent criteria, which sets it apart from all other spirulina in the world.